Heading into 2018, the state of the mergers and acquisitions market looks strong. U.S. target middle market announced deal volume climbed 19.6% to 9,630 YTD 3Q17. Value grew 15.4% to $183.0 billion during the same period. And, purchase price multiples hit 7.5x EBITDA in 3Q17, raising the last twelve month average to 7.0x. Debt and equity capital continue to be plentiful. M&A leveraged loan volume amounted to $249 billion through 3Q17, up 12% year over year. Dry powder available to private equity groups and cash held by corporations remain at or near record levels.  Overall, the economic variables that drive M&A continue to be sustaining. The Conference Board Leading Economic Index® (LEI) for the U.S. increased 1.2% in October to 130.4 (2010 = 100), following a 0.1% pickup in September, and a 0.4% increase in August. The expansion of the LEI suggests that the U.S. economy will continue to grow through 4Q17 and into 2018. According to the “second” estimate by the BEA, real GDP increased at an annual rate of 3.3% in 3Q17, following a 3.1% bump in 2Q17. Positive contributions from inventory investment, nonresidential fixed investment, and exports were partly offset by negative contributions from residential fixed investment and imports. Total nonfarm payroll employment increased by 261,000 in October as the unemployment rate crept down to 4.1%, the U.S. Bureau of Labor Statistics reported. The Consumer Price Index for All Urban Consumers increased 0.1% in October and 2.0% during the last twelve months. The Producer Price Index for final demand advanced 0.4% in October and 2.8% during the last twelve months, the sharpest increase since a rise of 2.8% during the last twelve months ended February 2012. The Conference Board Consumer Confidence Index® stood at 125.9 (1985 = 100) at the end of October, its highest level in almost 17 years. Consumers’ more buoyant assessment of present-day conditions, the job market and business conditions were thought to be the primary drivers of the boost in confidence. Taken together, our outlook for M&A activity in 2018 is positive. Retirement, concerns about the window closing, and shifts in strategy continue to bring sellers to the table. Aside from geopolitical risks, the lack of available, high quality targets is probably the greatest threat to another robust year. For more information or to discuss how BlueWater Partners can help you evaluate your financial and strategic alternatives, please contact us.  According to Thomson Reuters, U.S. target middle market announced deal volume increased 19.6% to 9,630 from 8,049 through the first three quarters of 2017 and 2016, respectively, and pushed last twelve months (LTM) September 30, 2017 volume to 12,270. This marks a continuation of the upward trend that began at least five years ago. 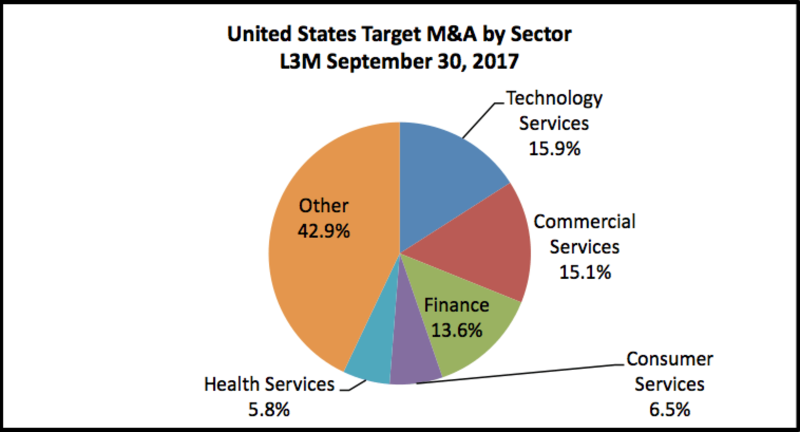 Technology Services was the most active sector during the last three months (L3M) ending September 30, 2017, according to FactSet. The next four most active sectors include Commercial Services, Finance, Consumer Services and Health Services. The top four have essentially remained the same during the last year or so. U.S. target middle market announced deal value rose 15.4% to $183.0 billion from $158.7 billion during the first three quarters of 2017 and 2016, respectively, according to Thomson Reuters. At the same time, average deal value dropped 3.6% to $19.0 million from $19.7 million. Purchase price multiples, which had dipped slightly in the first quarter of 2017, surged in the second and third quarters. According to GF Data, the average multiple for transactions with $10-250 million Total Enterprise Value (TEV) catapulted to 7.5x LTM adjusted EBITDA during 3Q17, the highest mark in the 15-year history of the database. The “size premium,” which is the spread between the lower middle market ($10-25 million TEV) and upper middle market ($100-250 million TEV), averaged 2.4x during 3Q17, down somewhat from the average of 2.8x during 2014-2016. During 3Q17, lower and upper middle market companies traded at 6.9x and 9.3x, respectively. Middle market transactions were funded with 4.6x total debt/EBITDA on average during 3Q17, up from 4.0x in 2016. This reflected an increase in senior debt combined with a decrease in subordinated debt. Senior debt in 3Q17 rose to 3.8x from 3.0x in 2016. Subordinated debt decreased slightly to 0.8x during 3Q17 from 1.0x in 2016. According to Thomson Reuters, leveraged loan volume expanded to $1.07 trillion YTD October 2017, 53% higher compared to the previous year. More specifically, M&A leveraged loan volume increased by 12% to $249 billion. After tightening for most of last year into this year, middle market yields tightened again in 3Q17 to 5.94%. 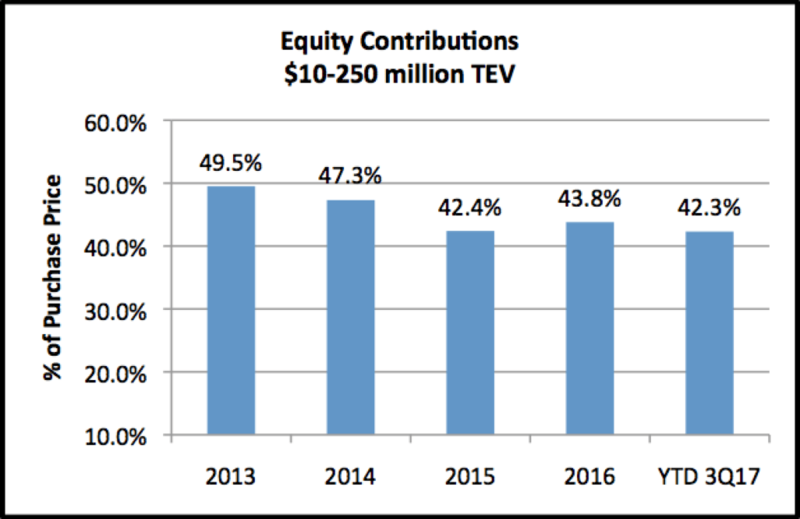 Equity contributions, which averaged nearly 50% in 2013, continued their retrenchment to 42.3% through YTD 3Q17. This trend has been aided by steady valuations and surging debt. As interest rates rise, either buyer or seller expectations will need to adjust. The amount of cash held by corporations remains at or near a 10-year high, and the amount of dry powder available to private equity groups reached another all-time high. According to FactSet, S&P 500 aggregate cash positions (ex-Financials) have remained at about $1.5 trillion during the past few years. Similarly, Preqin reports global callable capital reserves (“dry powder”) of buyout funds rose to $608 billion in September 2017. 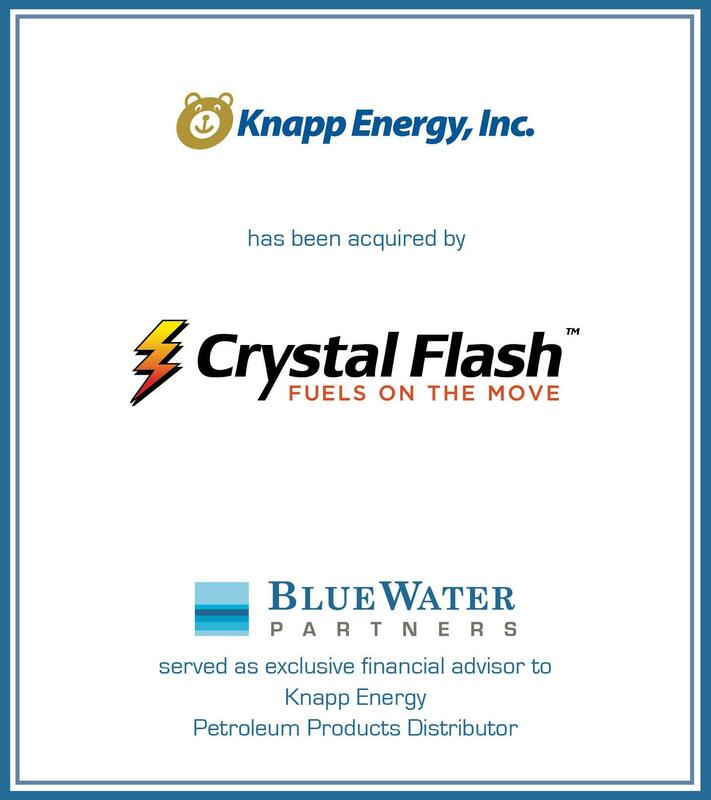 Knapp Energy, Inc. (“Knapp”), a leading distributor of fuel, lubricants and propane to commercial and residential customers, has been acquired by Crystal Flash, an employee-owned energy distribution company. The acquisition enabled Crystal Flash to expand its capabilities, footprint and talent. All employees of Knapp were retained. 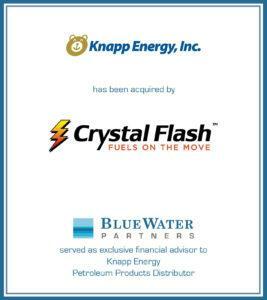 BlueWater Partners acted as the exclusive financial advisor and Lewis Reed & Allen acted as the legal counsel to Knapp for this transaction. After 20 years at the helm of the family business, Maite is considering selling the company next year. After all, her company has satisfactorily matured, and she believes the time may be right to put it on the market. But questions plague her. How can she be sure it’s the right thing to do – for her, for family members active and inactive in the business, and for loyal non-family employees? The answer, of course, depends on numerous factors, including the company’s value and current market conditions. Maite has wisely chosen to take her time before divesting.  That way, our fictional business owner can properly plan and – in conjunction with M&A experts – assess the most expeditious approach to her goal. Valuation. First, Maite obtains a business valuation. The value may well determine Maite’s final decision and certainly drives the plan if she intends to keep the business. Then she must determine whether to transfer the business during her lifetime, on her death or on her husband’s death. Of course, the company’s value and Maite’s plans interest numerous parties, including tax authorities and her family. Let’s say Maite decides to will the company helm to her spouse. No estate tax will be due then because of the marital deduction, but it will be due on her husband’s death. But Maite and her spouse might want the value minimized for the future estate tax payment on his death. Federal estate tax begins at an effective rate of 41% (on assets greater than the estate tax exemption of $1 million) and moves quickly to 49% (on a taxable estate greater than $2.5 million). Conversely, as you might imagine, the IRS is vigilant in looking for businesses that may have been undervalued in an effort to minimize taxes. This is particularly true for businesses whose fair market value is disputable. Active and inactive heirs also may have different views of the business’s proper value, especially if they don’t hold interests in the business or if their inheritance is to be “equalized” from other assets (that is, compensated for their share of the business through assets other than the business itself). So make sure your valuator clearly understands the valuation’s purpose. Transition. Maite will turn 64 next year. Therefore, retirement is another option she must consider. If she chooses to keep the company, she must decide whether everyone now involved in the business should stay involved. That means assessing personnel’s aptitude, ability and temperament. Then she must determine if only those children who are active in the business retain current, or have future, ownership of it. Finally, she must decide what inactive heirs should receive. Without considering these issues, Maite would be less inclined to make an ownership transition during her lifetime. And that might not be in her (or her family’s) best interests. Decision-making authority. Presume at this point that Maite has decided to leave the business to her heirs. She must then determine who will take the helm when she leaves. If she’s not done so already, she should empower those running daily operations to make important decisions. She should consider whether the decision-makers should report to a formal or informal board of directors, or an institutional executor or trustee. With her M&A team of experts, Maite should examine whether her company can meet its capital and borrowing needs and how it can maximize its intellectual capital. If a solid management team already exists, it should have an incentive to stay on when the next generation of Maite’s family assumes ownership and control. Full benefits. Many business owners don’t take into account the value and extent to which they are receiving benefits from the company in addition to salary. In our example, Maite must recognize medical benefits, perquisites, pensions and employment opportunities for herself, family members and others before deciding to retain or divest the business. Estate plan. Contrary to popular belief, having the correct legal documents doesn’t constitute a business continuity plan, nor should that plan remain static. Changing tax law and values require a periodic estate plan review, as do changing children’s (and grandchildren’s) ages, maturity and marital status. Health concerns also affect planning. If Maite wants to keep the business in the family, an estate plan is a key component. Let’s say Maite decides to sell the business to outsiders. Here’s a look at the salient issues from the seller’s side. Value. A buyer bases a business’s value on strategic benefit and fit with other businesses, earnings and cash flow, and the management team. For the seller (Maite in our example), the gross value most often determines whether to sell. Note that consideration paid can take several forms and should be carefully structured and negotiated. Getting at net value. The extent, timing and payment of taxes (be they capital gains tax, income tax or estate tax) on the proceeds can and should be planned. Total purchase price should not be as important as the net value to the seller and his or her family. The buyer can be convinced to deliver more to the seller if it is more tax efficient for him or her. Presale planning. A great deal of planning should take place before any sale transaction. The more time that elapses between the implementation of a strategy and the sale transaction, the better the potential to preserve wealth and structure a deal that is beneficial to all parties. Transaction strategy. Before a business goes on the market, have your expert examine its financial status and state it in the best possible light. In other words, balance sheets and income statements may need to be re-evaluated. Fortunately, Maite’s M&A experts helped her identify an appropriate buyer (from a field of strategic, financial, institutional and management candidates) and communicated with that company’s representatives throughout the process. Implementation and positioning. Before negotiations began, Maite and her M&A team defined her role and others. By doing so, the sale process moved smoothly and she was on track to the best possible results. Experienced advisors helped her determine the most effective offer process. Post-sale planning. Coordinating a change in the assets’ makeup (for example, from stock in a closely held business to liquid assets) requires an income and security analysis and a review of any existing estate plan. Chances are, you wouldn’t drive to an unfamiliar destination without a map. Neither should an owner even contemplate selling a business without a plan. That plan will reveal the best course of action and chart how to get you there. Please call us to help you navigate your way to the successful sale of your business or with any other M&A issues you may have. These are a just a few of the many items to review before making a decision. Call us for more detailed information.